With the right equipment and some basic understanding, it’s not hard to determine which connections are heating up. 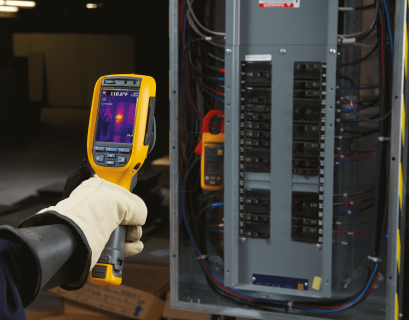 Below is explain how thermal imaging can be used to locate power connections in need of tightening without shutting off power. Thermal imaging technology has come a long way in recent years. Today small, handheld infrared cameras, enable users to quickly obtain a more accurate temperature reading by simply pointing at an object. Software typically provides an enhanced, color-coded image so users can very easily determine what’s hot and what’s not. Creep is the name given to the reshaping of the conductor that happens naturally with the passage of time. This is permanent deformation, much like a heavily loaded bookshelf that doesn’t spring back into its original shape when the books are removed. Therefore,maintenance personnel must still check connection efficiency.